← Videos: Wrapping up our first year at Suffrage Wagon Cooking School! A tuneup for watching “Suffragette” film opening this coming week! The fall issue of the Suffrage Wagon News Channel quarterly newsletter is coming soon. Make sure you’re subscribed. A great deal of information is being shared about upcoming events and celebrations. The “Suffragette” film links below are courtesy of June Purvis, an advisor to the film and an extra in the production. 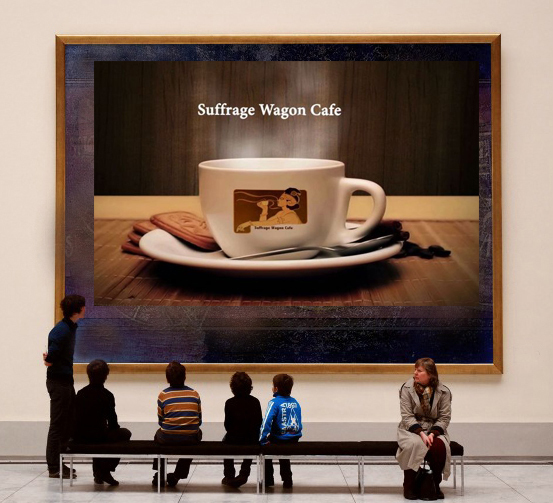 The film opens October 23 in the U.S.
Meet your friends at the Suffrage Wagon Cafe. Follow Suffrage Wagon News Channel on Facebook and Twitter. Quarterly newsletters just by signing up. Suffrage Wagon News Channel has a video platform on Vimeo. SuffrageCentennials.com for news and views about upcoming suffrage centennials. “Choose it and Use it” is a video reminding us of how the past is linked to what we do today and its impact on the future. This entry was posted in Books and tagged "suffragette" film, June Purvis, suffrage movement, Suffrage Wagon News Channel, suffragettes, suffragists, Votes for Women. Bookmark the permalink. I can’t wait to see the movie. It sounds really good!